The Book Club choice for March 2011 is 'The Girls' by Lori Lansens, which has received some wonderful reviews, so I am really looking forward to reading it. See below brief description, plus a link to an introduction by the Author, Lori Lansens. Meet Rose and Ruby: sisters, best friends, confidantes, and conjoined twins. Since their birth, Rose and Ruby Darlen have been known simply as "the girls." They make friends, fall in love, have jobs, love their parents, and follow their dreams. But the Darlens are special. Now nearing their 30th birthday, they are history's oldest craniopagus twins, joined at the head by a spot the size of a bread plate. When Rose, the bookish sister, sets out to write her autobiography, it inevitably becomes the story of her short but extraordinary life with Ruby, the beautiful one. From their awkward first steps--Ruby's arm curled around Rose's neck, her foreshortened legs wrapped around Rose's hips-- to the friendships they gradually build for themselves in the small town of Leaford, this is the chronicle of an incomparable life journey. Reviews of last month's book club choice 'The Pornograher' by John Mc Gahern will be available shortly. 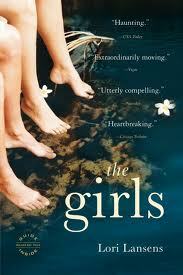 In the meantime if you want to pick up a copy of 'The Girls' and read along with us that would be brilliant. I'm sure it's a fine book, but not for me, I think. Yes I know Dave, at first I had my own reservations about reading it, but I have a feeling that in the end I will be glad that it was picked, I'm sure to let you know very shortly.